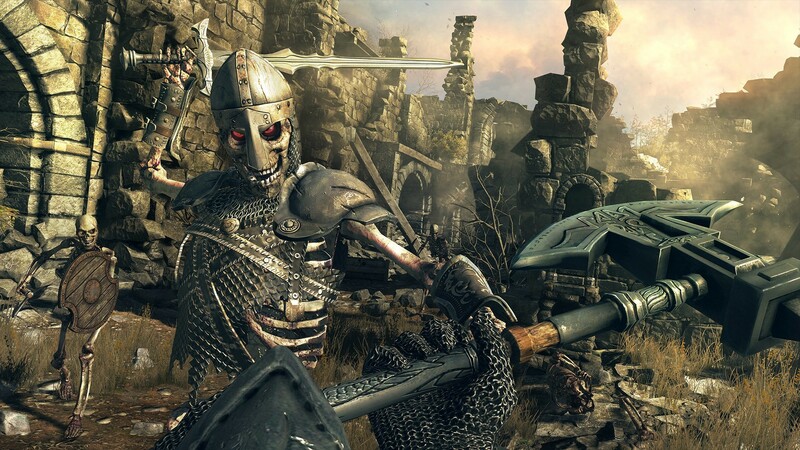 Hellraid is a new first person fantasy action game developed by ‘Techland’. It’s said to be coming out this year but that’s weird as the year is soon over but we will have to wait and find out. it will be coming out on Xbox One, PS4 nd PC. Let’s take a look. In Hellraid, you play a demon slayer who well… slays demons. This is a great career to have as the world has been invaded by the forces of hell. That’s how you know it’s serious. You have to close all the gates so no more demons can show up on earth through them. Hellraid does have character customisation and it’s said to be quite deep. not hugely deep like sims or but deep enough for it to matter. So select your armour, accessories and clothes. Then choose and combine active and pass abilities from a vast class-free skill tree divided into interwined branches of combat, magic and agility. So magic, melee and ranged combat is involved in Hellraid. Hellraid sounds so simple and easy to predict already but sometime simple is what gamers need to make a game great but more importantly fun. Now the combat is the deepest and most interesting part. In terms of melee, you can counter, dash, parry, use shields and more. In terms of magic, you can cast lightning bolts, dangerous area of effect spells and off course shoot fire balls. In terms of ranged combat, there is throwing knives, explosives and even a crossbow. Now Hellraid has quite a bit to offer gamers. The enemies are said to be adaptive kind of like with the neighbour from the game Hello Neighbor. An advanced weapon crafting system. As long as they keep it simple it can’t go wrong. Three game modes… Arena, mission and story. They are making sure that we spend time in this game. Best of all the game is co-op. That’s right. slash and hack up demons, causing serious damage with up to three of your friends in all three game modes. No limits so far with Hellraid. We checked out some gameplay and it so far looks really good. The action is what you would expect. Many enemies all wanting a piece of you. You can slash enemies in two with an axe, or smash skeletons in with a mighty hammer or burn things alive or freeze enemies solid with magic. You can switch between range, melee and magic at will and keep the pace of the fight going. The action is smooth and runs nicely.